Welcome to the Rotrax blog. First post we thought we’d let you know how we’ve got here. The forerunner of the Rotrax Marque was founded in Southampton by Bill Harvell who incidentally took part in the 1932 LA Olympic Games winning a bronze medal in the cycling events. The business was eventually taken over in 1945 and expanded under the Rotrax name by Messrs Harris, Potterton and Robins with the aim to be probably the first to introduce the much more graceful and raking lines of the Continental machines rather than the old fashioned British “upright” bicycle of the times. In 1952 Rotrax Ltd, reached its peak of prosperity, Rotrax bicycles were ridden to victory in many notable cycle races both road and track. By the late fifties the relentless progress of the motor car was into top gear and bicycle sales fell year by year. 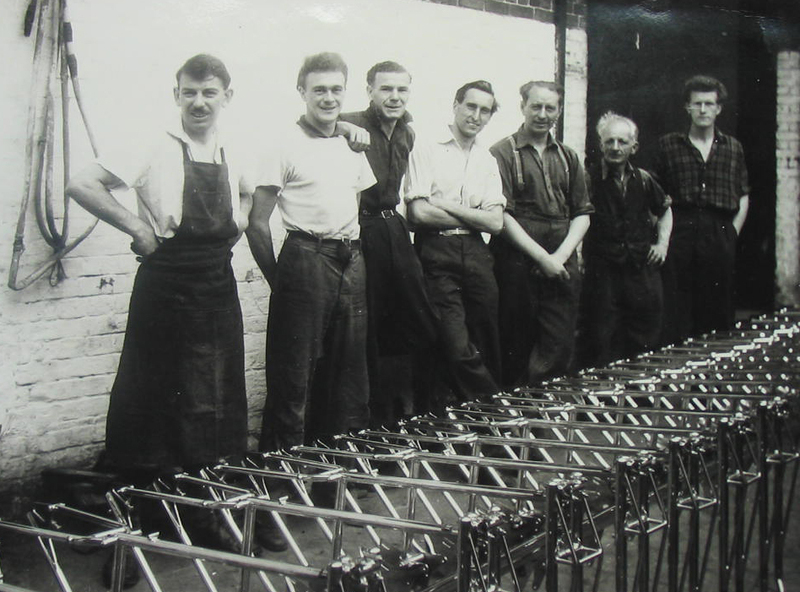 By 1960 the sales were too few to keep all the specialist frame builders in business. This also applied to the world famous Rotrax speedway motorcycle frames that were produced in quantities alongside the bicycle business. By 1963 it had been sold on to Messrs Kinchen,Compton & Charles Noble. For a short period Witcomb Cycles of Kent had a licence to sell frames under the Rotrax name, this was subsequently terminated, Rotrax frames being exclusively build in Shirley Southampton..
From 1986 the Rotrax marque has continued with the production under the ownership of Tim Maund. The Rotrax name, “Quality First” is still the watchword for handbuilt British frames.